Okay, let us get this out-of-the-way from the very beginning – the Samsung Galaxy S5′s debut was unlike the introduction of their Galaxy S4 or Note 2 or 3 models…things were toned way down from the flamboyant shows that Samsung usually provides, especially for their flagship ‘S’ series. I am sure that Samsung is proud of their new Galaxy S5, however, it’s almost as though they knew it was not going to be the revolutionary device that many had predicted – mostly based on hopeful wishes rather than actual facts – but a rather ordinary, evolutionary device. There was no metal housing, no QHD display, no 3GB of RAM, no OIS in the camera and certainly no 64-bit or eight-core processor blazing at 3GHz. Many naysayers claim it is nothing more than a refined Galaxy S4 – is that really a ‘bad thing’ – that sold well over 40 million devices. 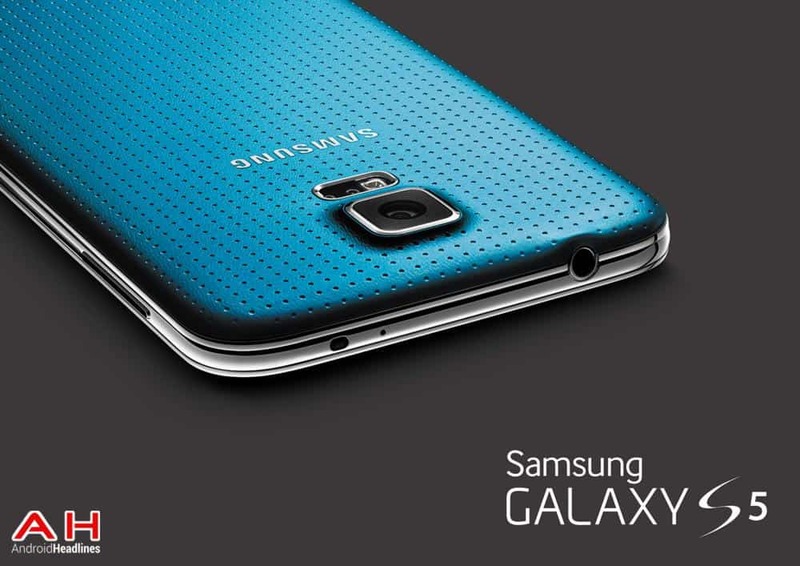 The Samsung Galaxy S5 has seen improvements in almost every area of the device. There were no new, insane processors available to put in the device, the QHD displays, while ramping up production, just could not be produced in the quantities needed for the expected sales of the Galaxy S5. Adding 1GB of RAM to make a total of 3GB, while sounding more impressive than 2GB, would not have made a significant enough of a difference in the Galaxy S5′s performance. So while Samsung stuck with refinements, these changes make the Galaxy S5 a better overall device than the Galaxy S4. In this article, we will look into ten areas of changes that you might not be aware of that make this device a better smartphone than you might think of at first glance. Where is the bloatware? Samsung, maybe at Google’s request or maybe from the cries of the masses, has actually decreased the amount of bloatware on the Galaxy S5 (and hopefully on all future devices). You can still get all the Samsung Apps you want - under the Apps Tray, there is a category called Galaxy Essentials, where you will be redirected to the Samsung App Store and download any of their Apps you desire. You want WatchOn or Samsung Wallet…no need to fret, they are there. TouchWiz has finally started a ‘diet’ that we hope will continue to future devices. Navigation has changed – Samsung still has their familiar physical Home button, flanked on the right with the usual capacitive Back button, but on the left, the Menu button has been replaced with a Recent Apps button. You must now use the menu options from within the App itself…as Google and Android intended. This will help give getter consistency across devices. Create App Tray Folders – To help keep your App Tray less cluttered you can create folders of like-Apps, a Games folder, perhaps…it will save time scrolling or paging through a bunch of ‘loose’ Apps. To create a new folder, simply open the App Tray, press the menu button in the upper right, and create your folder, after which you can open the folder and place the Apps that you want into that newly created folder. The new Toolbox – if you enable the ‘Toolbox’ under the Settings ->Sound and Display area, Samsung will allow you to place up to five of your favorite Apps to the Toolbox. There will always be displayed a ‘floating button’ for you to have immediate access to those favorite Apps no matter where you are. One-Handed Operation – The Galaxy S5 is a rather large device to operate with one hand so Samsung added this option by quickly swiping from the side of the display to the center and back. If you start your swipe from the left, the shrunken display moves to the left and if you swipe from the right, it will then move to the right on the display. It is a feature that was brought over from the Galaxy Note series. Sideways Fingerprint Scan – The Galaxy S5 has the built-in fingerprint scan to unlock the device, but how many people want to hold their device in one hand so that they can swipe their finger nice and perpendicular to the device. No problem…when you initially register your fingerprint, just hold the device in one hand and swipe you finger or thumb on an angle – the scanner will register it and then you can unlock it holding it the same, more natural way. One or Two Finger Swipes – If you swipe down with one finger on a home screen, the quick notifications will ‘roll down’ for you to make a choice, however, if you swipe down with TWO fingers ALL of your Samsung options will appear on one screen. This is actually a function of Android that Samsung has used to make selecting options easier. True Multitasking in Two Windows – This is another feature Samsung grabbed from their Galaxy Note series that allows you to open up to two Apps at the same time, in their own windows on the display. You can resize each window – for instance, you can watch a video in the larger window while you check your Twitter account or look through emails in a smaller window. Display Your Steps on the Lock Screen – It is no secret that the Samsung Galaxy S5 is ‘Geared’ (pun intended) towards helping us become healthier with their new built-in Heart Rate Sensor on the back near the LED Flash and their new S Health 3.0 App. There is a pedometer onboard to count your steps throughout the day and just by glancing at the locked screen, the number of steps you have taken will show up there without having to unlock the device. Live HDR Mode – the new 16MP ISOCELL camera has a HDR (High Dynamic Range) mode that you can turn on and see what your photo will look like BEFORE you press the capture button. Before this ‘live’ mode, you would have to first snap the picture and then you could view it in the HDR mode. This is a great idea and should aid in taking those special photos. Please let us know on our Google+ Page if you will be purchasing the new Galaxy S5 or waiting for something else to come out…we love to hear your opinions. The post Ten Things You Probably Don’t Know About the Samsung Galaxy S5 appeared first on AndroidHeadlines.com |.